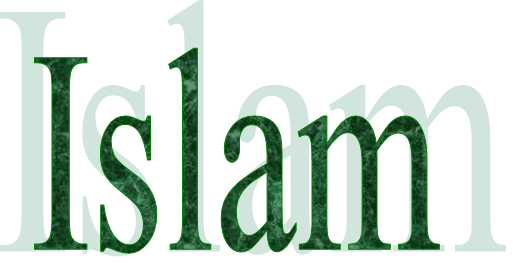 The word Islam is derived from the Arabic root “Salema” which denotes peace, purity, submission and obedience. In the religious context, Islam entails submission to the will of God and obedience to His law. Islam dates back to the age of Prophet Adam and its message has been conveyed to man by God’s prophets and messengers, including Noah, Abraham, Moses, Jesus and Muhammad (may peace be upon them). Every Messenger was sent to a particular nation in order to call their people to the worship of God alone and to guide them towards that objective. The core concept in Islam is that of Tawhid (unity): the belief in One God, Unique and Incomparable, accessible to all. Man possesses the qualities of intelligence and choice and the Muslim is the one who has made that choice and submitted his will to the will of Allah. Allah is the Arabic word for God (al ilah, literally “the God”). In Islam, shirk refers to the sin of practicing idolatry or polytheism, i.e. Ascribing an equal to Allah, whether it be an angel, a prophet, rock, tree or the sun. It is the vice of Tawhid (monotheism). Within Islam, shirk is the only crime that Allah does not forgive if one dies upon it. The word shirk comes from the Arabic root ‘sharaka’ with the general meaning of “to share”. Only Allah has the ability to give and take away life and to create from nothing. He does not fatigue and there is nothing that He does not know. He is the One who will resurrect us and judge us according to our deeds; therefore He is the only One worthy of worship. This is the concept of monotheism in Islam which is the religion’s most fundamental principle. Islam’s message has been restored and reinforced with the last and final messenger, Muhammad (peace be upon him). Thus, obedience to the Almighty Creator must be in immaculate accordance to the practice of the last Messenger to the best of one’s ability. Embarking upon this path is called the Sunnah. The word sunnah is derived from the root ‘sanna’. It literally means a clear and well-trodden path. Therefore, the meaning that ‘Muhammad is the messenger of Allah’ is to obey him in whatever is commanded, testifying to the truth of everything he informed of and to avoid whatever he forbade and prohibited, thus it is incumbent upon a Muslim, to worship Allah only with that which he prescribed and anything contrary to the prophet’s method of worship is rejected. Worship is a comprehensive term that encompasses everything that Allah loves and is pleased with. Shahada (Testimony of faith) – The declaration that there is no deity worthy of worship in truth except Allah and that Muhammad is the Messenger of Allah. Salah (prayer) – To establish the five daily prayers at its prescribed times in congregation. Zakat (charity tax) – To give 2.5% of their disposable income to the needy. Sawm (fasting) – To fast the daylight hours during the month of Ramadan. Hajj (pilgrimage) – To travel to the sacred house of Allah at least once in a lifetime, if one has the financial and physical capability. In short, Islam was revealed to the whole of mankind, in order to take it away from the humiliating worship of creation to the honourable worship of The Creator. To break free from the shackles of the enslaving illusions of this world and its adornments to the servitude of the All Mighty Lord and Creator. Islam was sent to remind the whole of mankind that they are on this earth, in the physical plain of existence, for a mere moment, before life ends and they move forward to the spiritual plain of existence, waiting until the Day of Judgement. It was sent to remind mankind that they should live in this life as strangers or travellers, never becoming satisfied with the alluring nature of this temporary world and all it contains, but rather living this life in order to prepare for the eternal life which is yet to come. Islam came to challenge the notions of national pride and tribalism and the arrogance which accompanies it. Islam came to end racial hatred and superiority, reminding mankind that it is a person’s deeds which determine who is higher in status, not the colour of the skin or the language one speaks or the tribe one belongs to. Islam came to release people from following dogmatic ideas and belief systems, which have been created by man to control the masses, to instead free the mind to realise the nature of creation and the purpose of life. Islam came to remind mankind that worshipping their Lord is a direct form of communication for which no intermediary is needed, be it living or dead. Islam came to tell mankind that man and woman are created equal, but that each has a role in the wider society. Islam came to change your way of life, so open your mind and see for yourself what it offers the seeker of truth who has hit a spiritual vacuum, who feels empty and lost inside. The person who has no idea why they exist or what the point of life is.